The man called President Joyce Banda “stupid and a failure”. 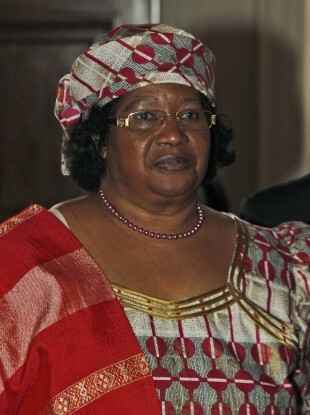 A MALAWIAN MAN who was arrested for calling President Joyce Banda “stupid” has been fined $45 after pleading guilty to the offence. Police had charged 37-year-old Japhet Chirwa with breaching the peace, after he vented his anger at the authorities for failing to change the name in his passport. He then called Banda “stupid and a failure”. Magistrate Lilian Munthali said the sentence would “teach others a lesson to respect the head of state and freedom of speech had limits”. Chirwa faced an alternative of six months in jail. His family pooled together funds to pay the fine. Police spokesman Maurice Chapola said Chirwa’s guilty plea had come as a surprise but did not give further details. Email “Court fines man for calling president 'stupid'”. Feedback on “Court fines man for calling president 'stupid'”.